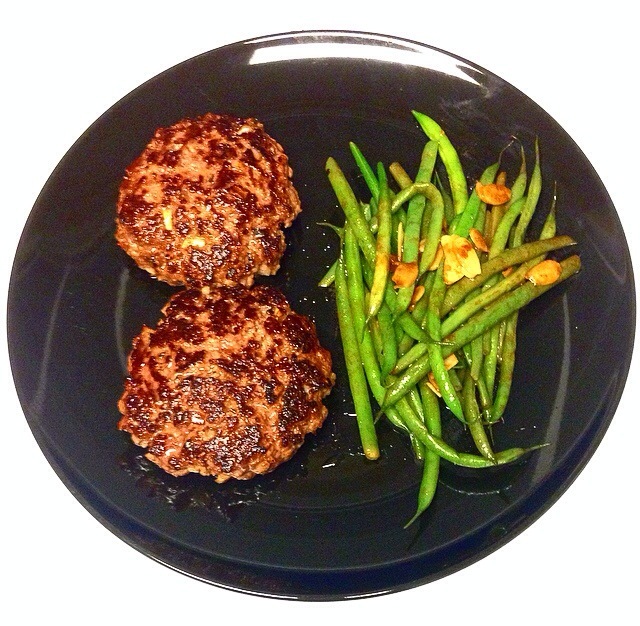 Bunless Burgers and Green Beans in a Balsamic-Dijon Vinaigrette – Pao Says, "Open Wide!" The thing I love most about burgers is that you can change a few of the ingredients and get a totally different variation on the classic dish. Today, I made juicy chipotle burgers. The sweet and sour balsamic-Dijon vinaigrette on the green beans made a good pairing with the smoky burgers- here’s how I made them! Steam the green beans, drain them, sprinkle some salt over them, and pour the vinaigrette over them. Toss in some toasted sliced almonds for crunch.. And flare – so fancy. Vinaigrette- whisk together 1tsp Dijon mustard, about 1/4 cup olive oil, about 1 tsp honey, and about 2 tsp balsamic vinegar.